Sony Pictures Classics Rupert Everett stars in “The Happy Prince,” about the last three years of Oscar Wilde's life. 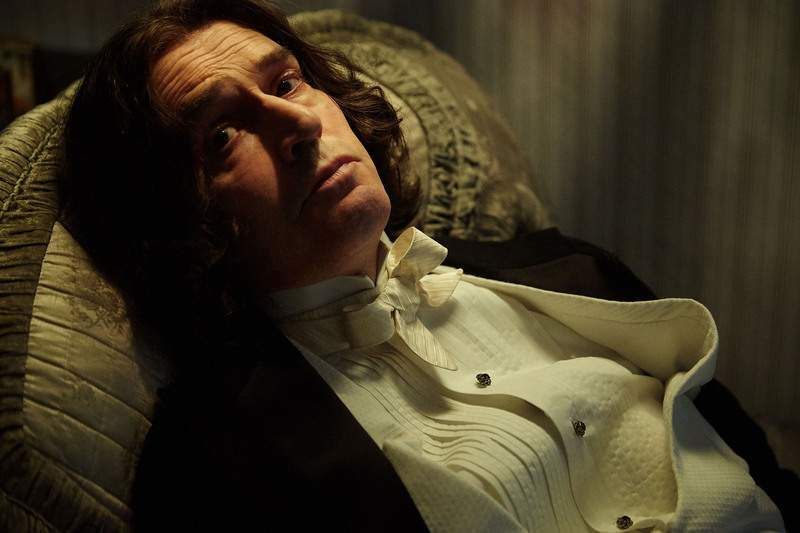 Watching “The Happy Prince,” writer-director-star Rupert Everett's account of the older Oscar Wilde, ungenerous viewers may think of someone who would have disdained the movie: the younger Oscar Wilde. Victorian London's brattiest wit, Wilde once remarked, of Dickens' “The Old Curiosity Shop,” that “one must have a heart of stone to read the death of little Nell without laughing.” It would be stone-hearted to laugh at “The Happy Prince,” but its level of sentimentality is nearly Dickensian. Fortunately, the maudlin moments are offset by fine performances, flashes of humor and a visual sense that's more astute than the script. Everett's drama charts the period from 1897, when Wilde was released from the British prison where he served time for “gross indecency,” to his death in 1900 in Paris. With barely a franc or a lira in his pocket, the author travels through France and Italy, sometimes joined by such benefactors as Robbie Ross (Edwin Thomas) and Reggie Turner (Colin Firth). More problematic are the visits from Alfred “Bosie” Douglas (Colin Morgan), the young lover who led Wilde down the road to ruin. Everett isn't as unrecognizable as John Hurt was in that film, but he does wear a fake nose and jowls. Although these are distracting at first, the actor inhabits Wilde so fully that the prosthetics are forgotten. Everett, who's played Wilde – and Wildean roles – onstage, gives an assured and affecting performance. If it's also a bit theatrical, that's apt for a biopic about an author who wrote his best work for the stage. “The Happy Prince” conveys the declining Wilde's pain, despair and self-pity, but also the writer's defiant banter. The script includes such well-known quips as “I am dying beyond my means,” as well as comic scenes. In one, a bacchanal in Naples is interrupted by a local matron who's indignant at the potential immorality but apologizes when she finds out there are no women present. Even Wilde's final moments are played partly for laughs, with the entrance of a grumpy Irish priest summoned to offer last rites.